Delhi Metropolitan Education, NOIDA organized the ‘Second Moot Court Competition’, from April 06-08/18, where an astounding number of 60 teams participated from all over the country. Mooting in DME is nothing new. It bears strong affinities with the interactive and personal style of the tutorial system. 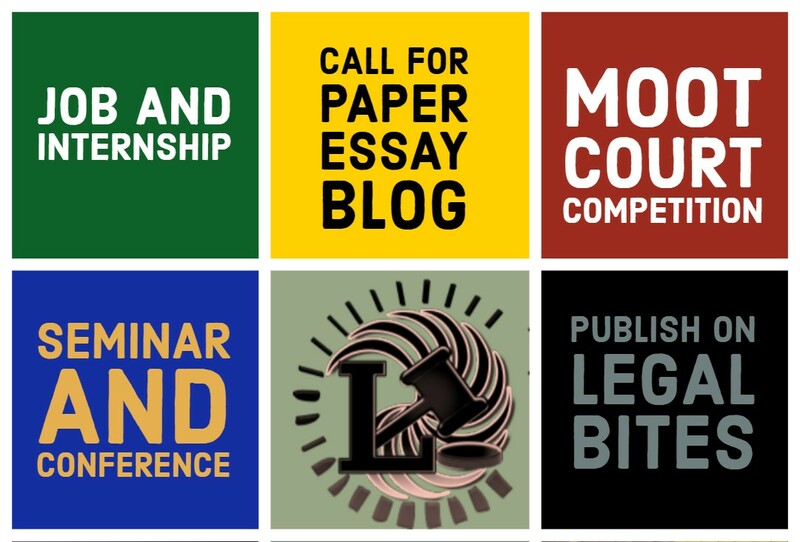 The benefits of mooting in legal education are well-recognized: along with the development of legal research skills; it enhances students’ clarity of thought and argumentation. At the intersection of theoretical and practical training, mooting has been a constant feature of the formation of lawyers since its incorporation into the modus operandi of the curriculum. 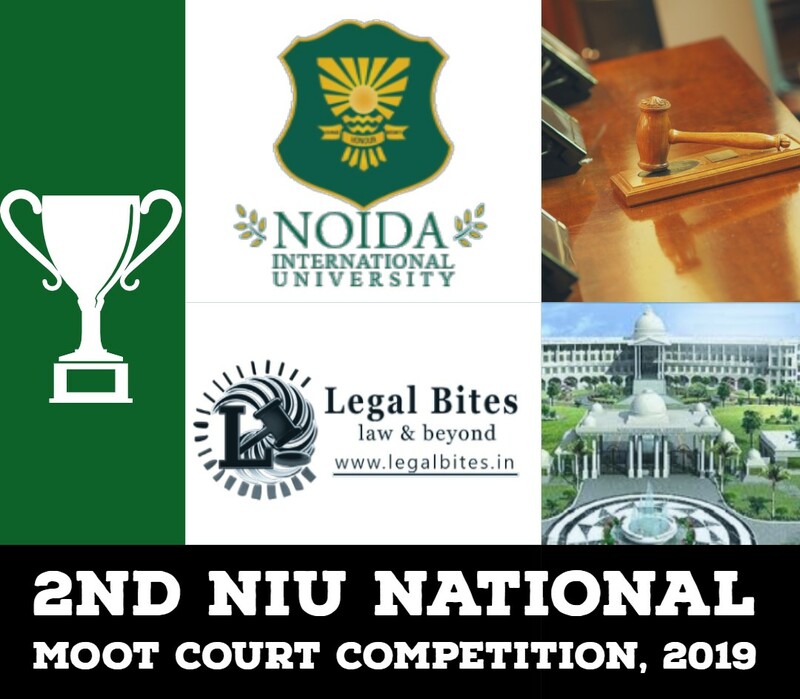 After being overawed by the success of first moot court competition, Delhi Metropolitan Education, NOIDA organized the ‘Second Moot Court Competition’, from April 06-08/18, where an astounding number of 60 teams participated from all over the country. The judges for the competition were legal luminaries and advocates. The first day started with formal registrations of the team. Despite traveling for hours, the participants could hardly conceal their exhilaration. Well! The roller coaster ride was just going to begin. The registrations were followed by draw of lots that was conducted in the Nelson Mandela Auditorium, whereas the researcher test was being conducted in the moot courtroom. It was an anxious situation in the moot courtroom, as all the researcher’s wanted to perform to the best of their ability. The day was concluded in the evening by high tea. The second day began with the inaugural ceremony. Hon’ble Mr. Justice Umesh Chandra Dhyani, former Judge, High Court of Uttarakhand was the chief guest at the inaugural ceremony. The ceremony was graced by the presence of Hon’ble Vice Chairman Aman Sahni, Hon’ble Mr. Justice Bhanwar Singh, Director officiating and Head of Department (law) Prof. Dr. Bhavish Gupta and Director (research) head Prof. Dr. Manjula Batra. The ceremony commenced with an auspicious observance of the lighting of the lamp and offering prayers to ma Saraswati, asking her to bestow upon us knowledge and wisdom. This was followed by the felicitation of our esteemed chief guest by Prof. Dr. Bhavish Gupta. Former Union minister of law and justice and designated senior advocate, Mr. Salman Khurshid, who has been intimately associated with our college, had sent a video message for the participants emphasizing on the importance of “skill of presentation” and wishing them a good luck. It was followed by a warm welcome speech provided by our Director General Hon’ble Mr. Justice Bhanwar Singh. While addressing the gathering Hon’ble Mr. Justice Bhanwar Singh Sir introduced our Guest of Honor as “a true judge in his career”, a person with no prejudice and bias towards any group and one who has given beautiful judgments during his years of judicial career, a person of great admiration. Sir, stressed over the “cancerous caste system” and importance of destruction of the same. He advised that as young students we need to be well equipped with the current and ever-evolving laws and judgments, quoting Fali.S.Nariman and citing an anecdote from the memoir of M.C Chagla he underlined that young lawyers must not be discouraged by loss of work in the beginning. Highlighting the importance of discipline, parliamentary language and honesty in a young advocate’s life he stressed the point that it’s “fine to lose a case but never to lose a court. One should never lose his temper”, be disciplined, enthusiastic, confident, believe in uprightness and integrity. Citing the example of Vidur from Mahabharata sir asked the students to always believe in moral values. He concluded, by stating about the “rule of divinity”, one should have a positive approach and must shut the company of bad people, that winning and losing are two sides of same coin, one must be a dignified looser. His speech motivated the young advocates. We’re in admiration and grateful to our esteemed guests for their enriching words. The inaugural ceremony was then followed by the briefing of the judges, preliminary round one and round two that were conducted in 30 courtrooms. The quarterfinals were scheduled post lunch, into which a total of 16 teams had qualified. The rounds were a showcase of great teamwork, and our judges profusely asked questions to check the knowledge and skills of the teams. It was a great start to the competition. Second day was concluded by the announcement of the result of the semifinals. Well today, the heart beats and the excitement, as well as nervousness of the participating teams, had intensified as today was the day of semifinals, finals and the valedictory session. We started with the semifinals in the morning. The bench for the semifinals comprised four judges. The advocacy and the mooting skills were at their best, everyone present in the courtroom was highly impressed with the eloquence of the teams. The teams had heated arguments, great courtroom manners and exemplary presentation skills; it was indeed a huge learning experience for the students. Our esteemed judges did intense questioning to the speakers, still the teams showed incredible team spirit and a greater level of confidence. With this the semi finals came to an end. Lisa Blatt once said “the courtroom is a battle field, where oral arguments require a fair amount of verbal jousting, and sparring with the judges”. With the same spirit our auditorium too was not less than a battlefield where the finale was conducted. Our Guest of Honor and judges of the final rounds were Hon’ble Mr. Justice S.S Kulshresta and Mr. Dinesh Dwivedi, senior counsel Supreme Court of India, and our Director General Hon’ble Mr. Justice Bhanwar Singh, wherein Raffles University Rajasthan defeated University Institute of Legal Studies, Chandigarh University. The student Convener Ms. Trupti Panigrahi addressed the gathering and announced the results. Best Memorial: Symbiosis Law School, Pune. The event was concluded by a speech from Director (officiating) and Head of Department (law) Prof. Dr. Bhavish Gupta whose energetic words filled the students with enthusiasm and a vote of thanks by the faculty Convener Mr. Karan Sharma. We thank our knowledge partner Mr.Harsh Sharma, founder Prosoll Law Inc., our sponsors SCC online, NTPC Indian National Bar Association and our media partners Legal Bites, APN news, Lawctopus, India legal, Notice Bard and Legal rhythms for their value able contribution to the event. We promise to meet you for the third DME National Moot Court Competition, 2019.